THOUGHTSKOTO Thoughtskoto : Is San Marino Country A New Destination of OFWs? But Where In the World is San Marino? 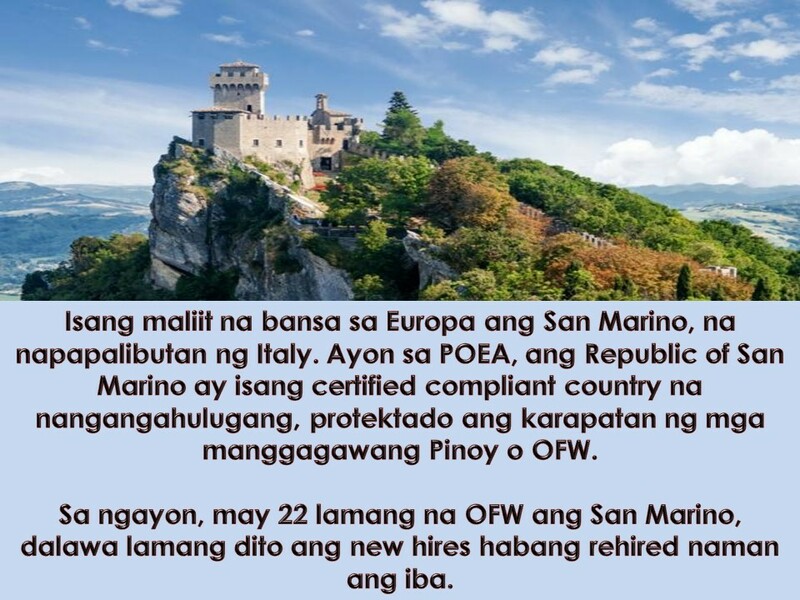 Is San Marino Country A New Destination of OFWs? But Where In the World is San Marino? According to BBC country profile, the San Marino is one of the smallest countries in the world in Europe, surrounded by Italy. 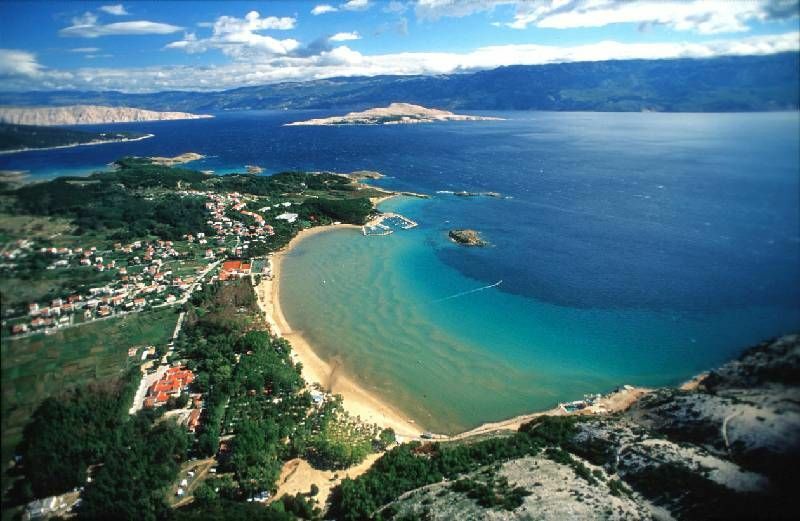 It is believed to be the world's oldest surviving republic. As of the moment record of Philippine Overseas Employment Administration (POEA) says that from 2015, there are only 22 Overseas Filipino Workers (OFW) in this tiny country. The 22 are composed of two new hires while the rest are rehired. The Republic of San Marino. Photos by Encyclopedia Britannica, Inc.
Every year, the country receives more than three million visitors as tourist dominates the economy. Just recently the Department of Labor and Employment (DOLE) is looking for the possibilities that San Marino will be new destination of OFWs particularly for the deployment of healthcare professionals. DOLE Secretary Silvestre Bello III issued an administrative order that mandates the formation of a team of labor officials that will appraise the viability of deploying Filipino healthcare professionals to San Marino. The assessment team, headed by the Philippine Overseas Employment Administration (POEA) and composed of member institutions coming from the Professional Regulation Commission (PRC), Technical Education and Skills Development Authority (Tesda) and International Labor Affairs Bureau. It said that after the appraisal, the team will recommend to the labor chief appropriate measures to address identified gaps in Philippine nursing and caregiving training, certification or accreditation to make them competitive and viable. A draft strategic plan for a viable supply of nursing and caregiving services in San Marino is also expected from the team. According to POEA, the Republic of San Marino is a certified compliant country which means, rights of Filipinos migrant workers are being protected.